Movin'... Groovin'... Doin' it, ya know? Hello again, it's been a little while. Things are still moving along here in LUMPSland. Since returning from our successful Chicago trip, where we met lots of amazing people and made new friends, we've been functioning in various forms. Sam had been applying to grad schools during the last few months of 2014 which left us to perform as a single guitar wielding trio at Don Pedro for the last Saturday Revenge. Then, our following show, at Cake Shop, ended up being the duo of Sam and I with rhythmic help from Roland SP404 because Rory was talked into attending a self actualization seminar all weekend that prevented him from being a drummer. Since the seminar, he only wears all white and chain smokes while telling us about all the ways we could tap into life's full potential. He's also working on cultivating a sweet ponytail. Still, he swears it's not a cult. This last Saturday night saw the return of LUMPS as a full band. We rocked our faces off at Don Pedro again for the El Silver Cabs EP release show. It was a wonderful, triumphant night of dancing, drinking, and guitar thrashery. Also, record t-shirt sales! Thanks to everybody who brought their body into the room. You made the right choice. 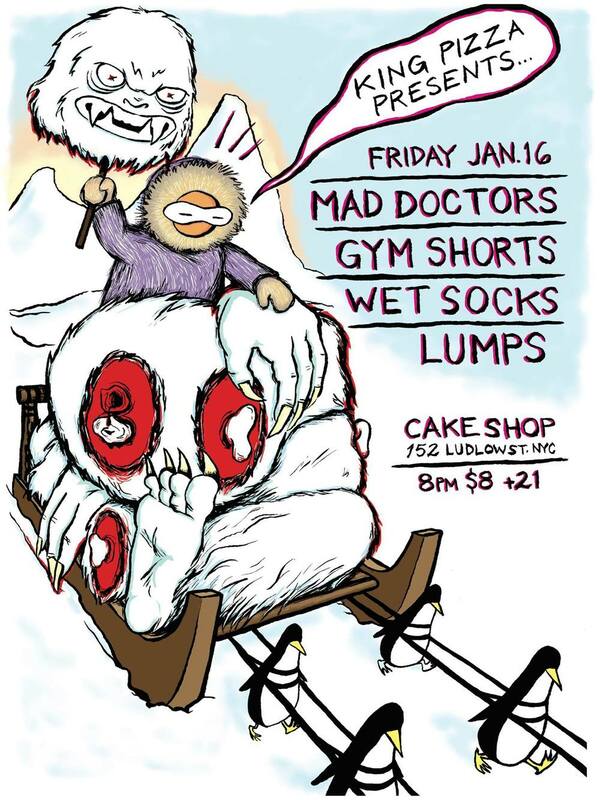 The next LUMPS appearance will be at Coco 66 on Friday, March 6. Opening up the night right. Maybe we'll even have a new song to share as well. We never know. So start saving your lunch money, and we'll see you in less than a couple weeks. In other news, we are actually taking steps to record some stuff! We've booked some studio time at The Seaside Lounge on March 8 to lay down drum and bass tracks. The rest will come in time. Eventually we may have something completed and worthy of being released on one of those cassette tapes all the kids are talking about now a days. I mean, we told King Pizza we would do it, so gall darn it, we're gonna do it! LUMPS is not a liar! See you all LUMPin out on the dance floor soon!